Behind their seemingly perfect smiles on the TV screens, the sufferings of several female television personalities go unknown and unnoticed. Women in the field of media have been excelling on the various programs; however, they have been facing real difficulties. A chunk of Saudi society still finds it unacceptable for women to work in the field of media. 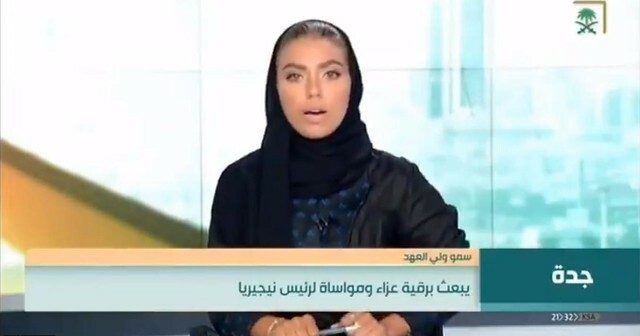 An anchor on the Saudi TV’s cultural channel, Fadwa Al Tayyar, has stated that the negative perspective is being reflected on her whole family, and now she is demanding that the society of Saudi Arabia changes the way the women in the media field are viewed. Kholoud Al Nimr of the Rotana channel has stated that she believes that the difficulties of this professions are stemming mainly and centrally from the refusal of the society and the rejection of the women, working in the profession of media. Anchor at Saudi TV, Rola Maimani has stated that if the Saudi community does not in time accept the women working in the field of media, then the currently faced problems will not get better, but will instead become worse. She states that she receives a large volume of highly inappropriate words, regardless of where they go. Additionally, their boss does not even understand women and is dealing with them in a form of isolation from the rest of humanity, which is definitely increasing their troubles. The simple fact that there are no specified hours for working in the field of media has made it even more difficult for women. Additionally, it cannot be understood why there are very few days off for those in the field of media. The field of media requires a lot of physical effort as well as mental effort, and the media people constantly need some time off. She stated that she wishes that the people change their outlook so that it does not affect the families of the women in media. Working in the field of media, you are in need of a special guard due to the fact that a majority of the work is done under extreme circumstances. She remembers one time when she was doing a report on an aged woman who had been suffering from Alzheimer’s disease. In the middle of the report, she started thinking that she was her deceased daughter and hence proceeded to lock her in the room along with herself. The situation was then only resolved by intervention by the photographer and other individuals.